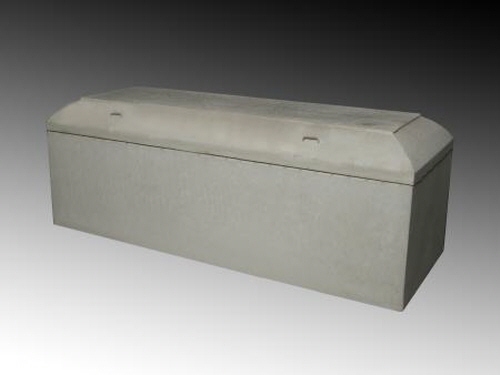 Triple wall protection combines the durability of reinforced concrete with a poly-ribbed ABS Fiberlon® liner for added protection and the beauty of a copper inner liner for extra strength. Carapace is also covered in rich copper for added beauty. 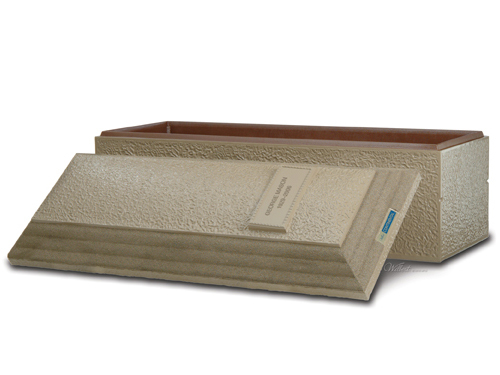 Doric Integra-Bond® bonding system adheres the thermoformed inner liner to the concrete wall and cover. 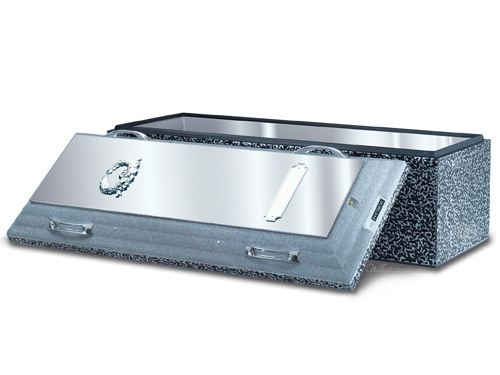 Doric Integra-Seal®, a butyl compound used in the seal groove, merges base and cover to form a single sealed unit. Decedent nameplate and appropriate decorative emblem. 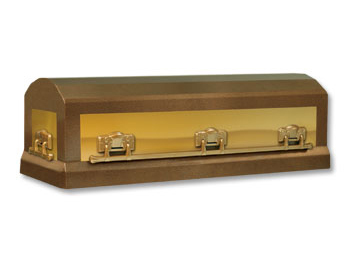 Coordinating bar handles add subtle elegance. 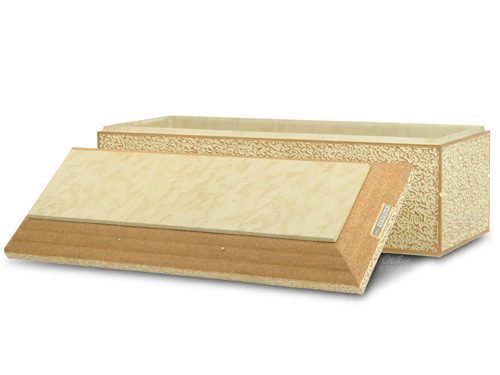 Textured exterior highlighted with two-tone paint to complement the casket selection. Backed by the Doric warranty.